Judy Day, Sutter Creek Gallery’s artist of the month for June, moved to the foothills of Jackson in April 2010, following a 25-year career teaching art and algebra in Southern California. Through teaching a variety of media, she discovered her love of watercolor. Since moving to the county, Day studied with several local artists and has concentrated on her painting. She joined the Amador County Artist Association and is currently serving as its President. Sutter Creek Gallery invites you to spend some time with Judy Day at a reception on Saturday, June 1, from 4 p.m. to 7 p.m., as part of the region’s First Saturday Art Trek. She is one of 30 artists exhibiting at the gallery located in the heart of Sutter Creek at 35 Main Street. The gallery is open Friday and Saturday from 10 a.m. to 6 p.m. and Thursday, Sunday and Monday from 11 a.m. to 5 p.m. For additional information, call 209-267-0228 or email suttercreekgallery@gmail.com. Anne Hills has become one of the better known voices of the contemporary folk music scene, receiving awards and recognition for her live performances (2009 Bound for Glory live radio show favorite- Ithaca, NY), her unique solo and collaborative recording projects (2001 WAMMIE for duet CD with Tom Paxton, Under American Skies), and her overall artistry and benefit work (2002 Kate Wolf Award, Carole Robertson Award & Kerrville Female Vocalist of the Year 1997). 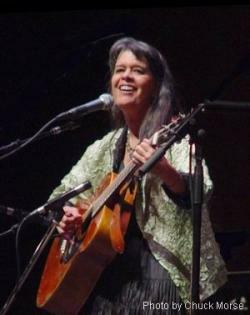 Her song “Follow That Road” was the title cut of the Martha’s Vineyard Songwriter Retreat and has enchanted audiences for over a decade. Whether she is singing her own song, the words of 6 year old Opal Whiteley, or the Hoosier poet James Whitcomb Riley, accompanied with her guitar, banjo, or simply a Tibetan bell, she puts her whole heart and soul into the moment. So, even if you haven’t become familiar with her voice (featured often on XM/Sirius Folk Radio, The Midnight Special & many other folk shows) you won’t want to miss a chance to hear her songs and stories in person. She’s just begun touring more extensively, winning over audiences with her warm, lively and humorous performances. "From the first time I heard Rita sing, her voice gripped me and did not let go,"--Joe Craven. Her voice, called a "soulful howl from the mountains" is calling attention around the country. "This California girl comes by her mountain-music sensibility with true authenticity, with original songs deeply rooted in her family's frontier experience," (Dan Ruby, FestivalPreview.com.) Rita will play with her band, Cousin Jack, composed of Sean Feder on banjo and dobro, Andy Lentz on fiddle, and Bill Dakin on upright bass and guitar. 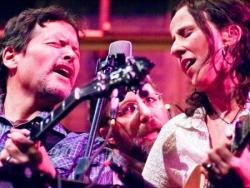 Their close harmonies and strong backup embrace and support a rich, acoustic folk-grass sound. Rita's style of country-folk has been lauded for story and sense of place, and her performances praised for capturing the audience. Honors include winner of the 2008 Dave Carter Memorial Songwriting Contest at the Sisters Folk Festival, finalist in the 2009 Telluride Music Festival Troubadour Contest, and more. "This California girl comes by her mountain-music sensibility with true authenticity, with original songs deeply rooted in her family's frontier experience," (Dan Ruby, FestivalPreview.com) and Rita's fans call her "the real deal". A descendant of Cornish miners who sang in the mines, Rita grew up with deep regard for folk music and the power of the voice. "A sledgehammer to my heart." ~Frank O. Gutch of Rock and Reprise, writing of Rita's latest album, BURN. "With an of-the-earth, gnarled voice that ranges from high and sweet to down-home and ferocious, Hosking had the audience in the palm of her hand, and the line to buy her CD's snaked through the Sierra meadows." --Ami Chen-Mills Naim, Santa Cruz Weekly about Rita's performances at Strawberry Music Festival. The third annual Jazzin’ It Up in Jackson will be a not-to-be-missed event, on Saturday evening, June 22, from 6:00 – 9:00 pm. On three blocks of closed-off historic Main Street in Jackson, there’ll be free admission to listen to a variety of music on 3 stages and enjoy street performers, like the Sierra Nevada Guns for Hire troupe, bellydancers, and other surprises, plus “Art by the Inch” to browse and buy, face painting, food vendors, a Beer Garden. And, for wine lovers, a fee will get you an event wineglass so you can shop-hop and taste a different Amador County winery at each of 22 businesses. As the event organizers say, “Just plan on having “a jazzin’ good time!” Who are the organizers? The non-profit AmadorArts and the city of Jackson, with a host of local sponsors. 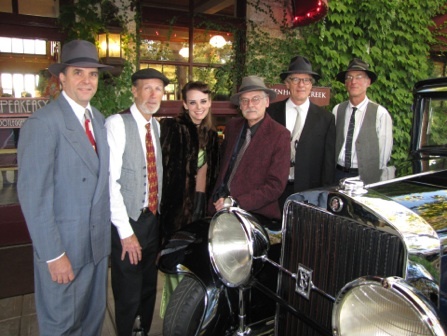 The Wine Stroll has been a very popular part of the “Jazzin” event in the prior two years. Now, with the street closed-off, the real party begins! The opportunity to taste 23 Amador County wineries in shops along 3 blocks is a unique Jackson experience. Wine Tasting tickets are on sale now for the advance price of $25. The day of the event, they will sell for $30. Non-stop live music at each end of town and in the middle will feature country music by the Slade Rivers Band, rockin’ blues by the Brad Wilson Band, and jazz by the Tri -Tone Subs. Since it’s dinner time, you’ll have choices of great food. Many Main Street restaurants will present their meals from counters in front of their establishments, and local non-profits will also have walk-away items. Another highlight of Jazzin’ It Up in Jackson will be the ten large 7½-foot-long murals painted on heavy paper by groups of local artists that will be on display on panels down the middle of Main Street. “Art by the Inch” is what the project is called, and it’s a spectacular, innovative way to view art and to buy mural sections of your choice at only 50-cents per inch. For example, on one of the murals you might see a rendition of an historic Jackson home that measures about 10” x12.” Well, you can take it home it by having it sliced out by a handy AmadorArts assistant and paying by the inch. Doing the math, that particular section would cost $60. All original art, created by teams of artists who have been creating the murals, each with a different theme, in their home studios for the past three months. Another highlight will be the raffle for a week’s stay at a Tahoe condo. The three entry points to pick up Programs with Event Maps and to buy Wine Tasting Tickets will be at Petrovich Park, L & M Parking Lot, and the El Dorado Bank Lot, which will also be the Will Call for picking up advance purchased wine glasses. Remember, there’s free parking at the Jackson lots and on the adjacent streets. Wine Tasting tickets can be ordered on-line at www.amadorarts.org using PayPal, or by visiting these outlets: AmadorArts Office/Gallery, 11A Randolph Street, Sutter Creek; Amador Council of Tourism; Sutter Creek Wine Tasting; Dr.Curry's Dental Office, Plymouth; Chamber of Commerce, Jackson; Clarks Corner in Ione; and at Up Country Hardware in Pine Grove. If you’d like to join the many volunteers who are needed to make this June 22rd event another success, call 223-9038 or email info@amadorarts.org. Thank you to the City of Jackson, the Jackson Business and Community Association, and our entire committee for helping with the myriad of logistics. All proceeds of Jazzin’ It Up in Jackson will benefit the Arts Education programs of AmadorArts. For all the details of the event, visit the website www.amadorarts.org. 1.) “Art by the Inch” will be featured down the middle of Main Street at Jazzin’ It Up in Jackson. 2.) The country music band of Slade Rivers, at the south end of Main Street, will be one of 3 bands at Jazzin’ It Up in Jackson. 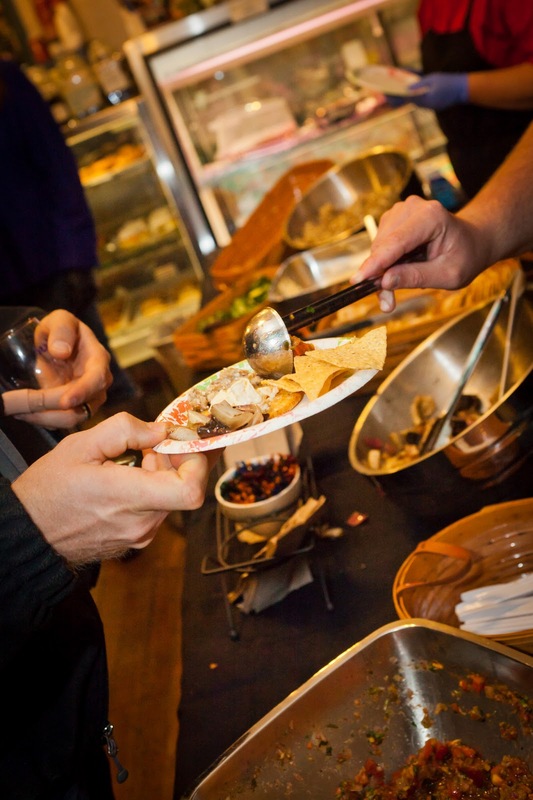 3) Local Main Street restaurants and other food vendors will keep Jazzin’ guests from getting hungry. Kurt Andersen’s new show “Far Away Faces” will open at Hanford St. Gallery on May 30th with a reception for the artist on Saturday, June 1. The show is drawn from images produced during travels that included locations both exotic and forbidden. Kurt is an award winning photographer with over 20 years experience. His classical training with Ansel Adams and Oliver Gagliani along with his degree in photography from Brooks Institute launched a successful career in commercial photography. His passion for his work drives him to create only the very best. 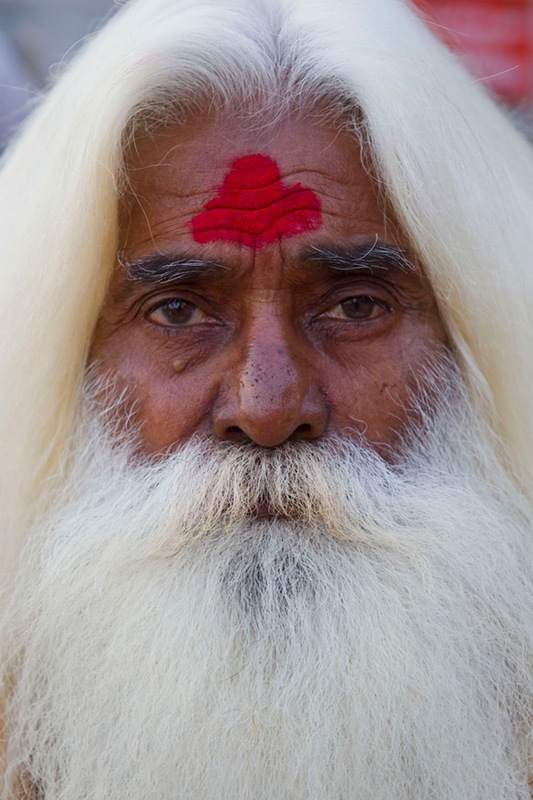 Kurt makes photographs that capture the timeless character of a place or a face. The show will run from May 30 through June30. Located one minute north of downtown Sutter Creek at 291 Hanford St. (Old Hwy 49 - Next to the Days Inn) the Hanford St. Gallery is open Thursday thru Sunday from 11am to 5pm. For more information call 209-267-8074 or email hanfordstgallery@volcano.net. Gallery 10 Maggie Soegaard - a Retrospective of this Pine Grove artist’s life-long interest in art. Her exhibit will be chronicled with pieces from her earlier career up to new creations done especially for the show. She is the only one of Gallery 10's original founders to still be on exhibit. Her oil paintings have been exhibited locally and throughout Northern and Central California, including Carmel. 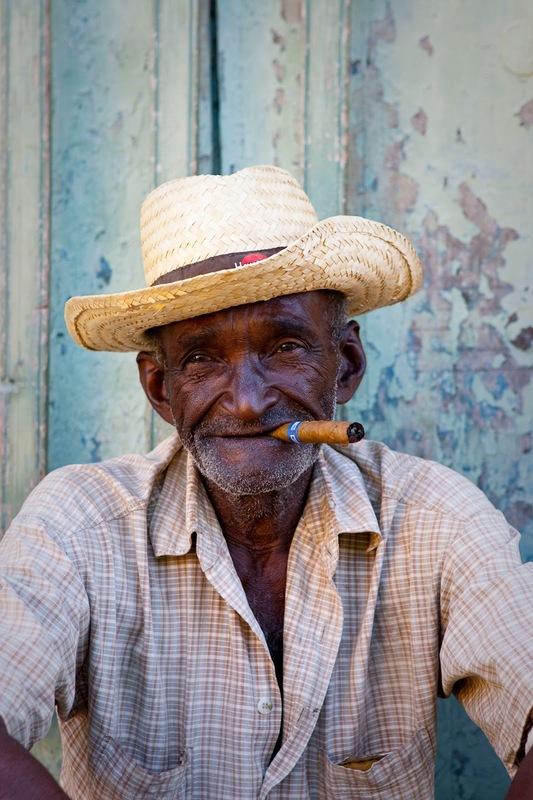 Gallery 10 is honored to present this show from its most treasured artist. The gallery is open Thursday through Monday from 11:00 - 5:00 p.m. Call 209-267-0203 or visit www.gallery10suttercreek.com. Old Town Sacramento K & Front Street Sacramento, CA 95814-2206 Available now for a limited time, get a 4-day all-venue pass for only $99! We've extended this offer until April 15th! Also, a reminder that shuttle busses will be free! Janet Telford - flute, Jane Buzzard - oboe, Hank King-clarinet, Bill Minkel,- horn, and Gail Buzzard,- bassoon with guest artists, Anne Saunders, soprano and pianist, Sue Hart are providing music for this Calaveras Big Trees Association (CBTA) fundraiser/concert at Calaveras Big Trees State Park on Saturday, May 25, 2013 (the Saturday of Memorial Day Weekend) at Jack Knight Hall.and there will be a silent auction, wine, and hors-d'oeuvres. The CBTA is the non-profit association which raises funds for the educational and interpretive programs of Calaveras Big Trees State Park. A great day of Blues & BBQ June 16th @ The St. George Hotel in Volcano, Ca. This year's Line-up features West Coast Blues Hall Of Fame "Band Leader Of The Year"...Wingnut Adams, Tessie Marie & The Poor Man Band, Jeramy Norris & The Dangerous Mood, World Famous Guitar Mac, Lee Bootz, Nedra & Julio, and MORE! Out back at The St. George Hotel, with BBQ available at additional cost. Please no bottles, cans, or picnics....low lawn chairs ok! Charge by phone as well as group discounts available by contacting us at 530 344-9208. All ages event $15.00 in advance; $20 at the door. Children under 12 free. Portion of proceeds to benefit Arts Education Program of AmadorArts, a non-profit serving the region for 31 years. Call Pam at 245-3910 to register after June 1st (she will be out of town until then). Prizes: $10,000 USD (1 artist will receive $5,000 USD and 5 artists will each receive $1,000 USD). Dave Bown Projects will be buying works of art from artists as submissions are received. Eligibility: This competition is open to all visual artists who are 18 years of age or older. All styles and media are eligible. An evening of music that will delight and entertain you. The summer tradition of going to free concerts every Friday evening in Amador is gearing up. AmadorArts, the 31-year-old non-profit organization that has organized these free concerts for over 16 years, has announced its 2013 TGIF Concerts Schedule. Starting June 7th and running until August 9th, the concerts will feature a wide variety of styles to deliver passion and excitement to your Friday evening outings. An effort has been made to present musicians who live locally. Be sure to be there if you have a goal of making it to ALL nine of this season’s concerts. The music starts at 6:00 pm, but people of all ages start to arrive earlier to set up their picnics and to meet and chat with friends. This is, after all, the weekly fun thing to do for hundreds of Amador residents. Out-of-towners, too, are discovering TGIF as a great way to jump start a weekend in the foothills. Remember to bring your low-back chairs or blankets and picnics. Mark your calendars. For more information, visit www.amadorarts.org or call the AmadorArts office/gallery at 209-267-9038. Swing Gitane –1920s-50s swing “Hot Club” jazz music of Django Reinhardt, plays the first TGIF concert at the Preston Castle. Sutter Creek Gallery invites you to spend some time with Judy Day at a reception on Saturday, June 1, from 4 p.m. to 7 p.m., as part of the region’s First Saturday Art Trek. She is one of 30 artists exhibiting at the gallery located in the heart of Sutter Creek at 35 Main Street. The gallery is open Friday and Saturday from 10 a.m. to 6 p.m. and Thursday, Sunday and Monday from 11 a.m. to 5 p.m. For additional information, call 209-267-0228 or email suttercreekgallery@gmail.com. On Thursday, May 16 from 6:00 to 8:00 pm, in the Jackson Civic Center at 33 Broadway, enjoy a couple of fun hours of socializing with a variety of local residents. Complimentary hors d’oeuvres and a no-host wine bar will be featured, as will some of the murals being created for this year’s Art by the Inch project. This will be a Preview of what will be on display during this year’s “Jazzin’ It Up in Jackson” event on Saturday, June 22. Featured music will be by Amador’s favorite young singer-songwriter Meghan O’Keefe, accompanying herself on keyboard. For AmadorArts members, the event is FREE; or it’s just $5 a person. Everyone welcome! For more details visit www.amadorarts.org or phone 209-267-9038. The best of both new, original bluegrass, and classics from the past. Front Country won the 2012 Rockygrass Champions award. The band features Zack Sharpe thumping the bass, Melody Walker and Jacob Groopman on guitars, Adam Roszkiewicz on mandolin, Jordan Klein picking banjo, and Leif Karlstrom tearing up the fiddle. Vocal chores are passed around with Melody, Jordan, and Jacob handling most of the leads. They feature great original songs and instrumentals, choice covers, intricate arrangements and inspired improvisations. 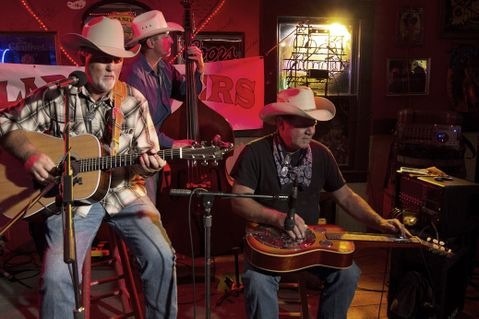 The Central Valley Boys are a band dedicated to paying homage to the great Country and Bluegrass musicians: Vern Williams, Del Williams, Ray Park, Rose Maddox and the Maddox Brothers, The Farmer Boys and more. Of course, a Central Valley Boys show would be quite sparse without songs from the great first generation Bluegrass band, The Stanley Brothers. Carter and Ralph Stanley, from McClure Virginia in the Clinch Mountains brought their distinctive "Clinch Mountain music" to the world. Carter wrote and sang some of the music ever rendered with his Brother Ralph singing high tenor and adding his distinctive banjo sound. The Bluegrass world would not be the same today without the Stanley Brothers. **ATTENTION - PLEASE DO NOT USE GOOGLE CHROME TO ORDER TICKETS. IF YOU USED GOOGLE CHROME TO GET TO OUR WEBSITE, PLEASE RETURN THROUGH ANOTHER BROWSER. GOOGLE CHROME WILL CLEAR YOUR TICKET CART WHEN YOU TRY TO ORDER. Using Windows Explorer or Mozilla Firefox will not have this problem. We apologize for the inconvenience and are trying to get a work around for the problem. Support AmadorArts Arts in Education Programs & Win a Week in Tahoe! Support AmadorArts Arts in Education Programs & Win a Week in Tahoe! Drawing will be held at Jazzin' it Up in Jackson on June 22nd. A special free concert with music highlighting American composers and saluting our armed service personnel, veterans, and heroes will be highlighted on Sunday, May 19 at 3pm at the Community Church of Pine Grove, 14045 Ponderosa Way, Pine Grove. Patriotic and familiar American tunes will be presented by the 48 member Amador County Concert Band, under the direction of Steve Chambers and Irv Gidding. The Amador County Concert Band proudly represented Northern California in June 2010, when it was selected to perform in Washington D.C. for the National Community Concert Band Sousa Festival, a salute to the legendary march king, John Philip Sousa. Under former musical director Ernie Kapphahn, the band gained very high recognition for its performance and since the band’s return, has gained new members, some traveling from as far away as Sonora and Placerville. The band has recently received notice that it has been chosen to participate on June 8 at the Golden Gate Park Band Festival; the band will have a 2pm downbeat at the recently restored historic band shell. This event, held June 8 and 9 will feature band from all over California, each presenting a 45-minute program. The Amador County Concert Band will be representing our Northern California area. Music presented on the May 19 program will be “Armed Forces Salute” (anthems of the military branches), “America the Beautiful”, Richard Roger’s “Victory at Sea”, “National Emblem March”, Carl Strommen’s “In Their Honor”, Robert W. Smith’s “American Flourish” , a medley of Irving Berlin’s “Songs for America”, and more. The program will last approximately 90 minutes and refreshments will be served directly following this exciting musical event. It is suggested that audience arrive a few minutes early for best seating; there is also easy and ample parking. Come show your support of our service men and women, America, and enjoy the spirited music! Spring 2013 50th Anniversary Concert Series 7:30 PM Cornerstone Church ~ Ione, CA (Corner of Church and Market Sts.) In honor of their Golden Jubilee, ticket prices are rolled back to $5.00! plays the keyboard at The Lone Wolf, upstairs at the Jackson Rancheria Casino. 6:00 p.m. to 10:00 p.m. Call to check the time. Jackson Rancheria Casino, upstairs at the Lone Wolf. Check the time by calling the Rancheria Casino . Spring 2013 50th Anniversary Concert Series 7:30 PM Sutter Creek Auditorium ~ Sutter Creek, CA In honor of their Golden Jubilee, ticket prices are rolled back to $5.00! 2 pm in the Church of the Nazarene. Flutist Laurel Zucker joins our Distinguished Young Artist of the season, cellist Erik Urbina, and pianist Ron Brickman. Delightful trios by Hummel and Nicolas Kapustin highlight the program, which also includes works by Beethoven and Tchaikovsky for cello and piano, an original composition by Laurel Zucker for flute and piano, and the engaging “Jet Whistle” for flute and cello of Villa Lobos. Spring 2013 50th Anniversary Concert Series Afternoon performance today at 3:00 PM Sutter Creek Auditorium ~ Sutter Creek, CA In honor of their Golden Jubilee, ticket prices are rolled back to $5.00! Featuring a Farm-to-Table dinner, desserts, local wines, live music and a silent auction.